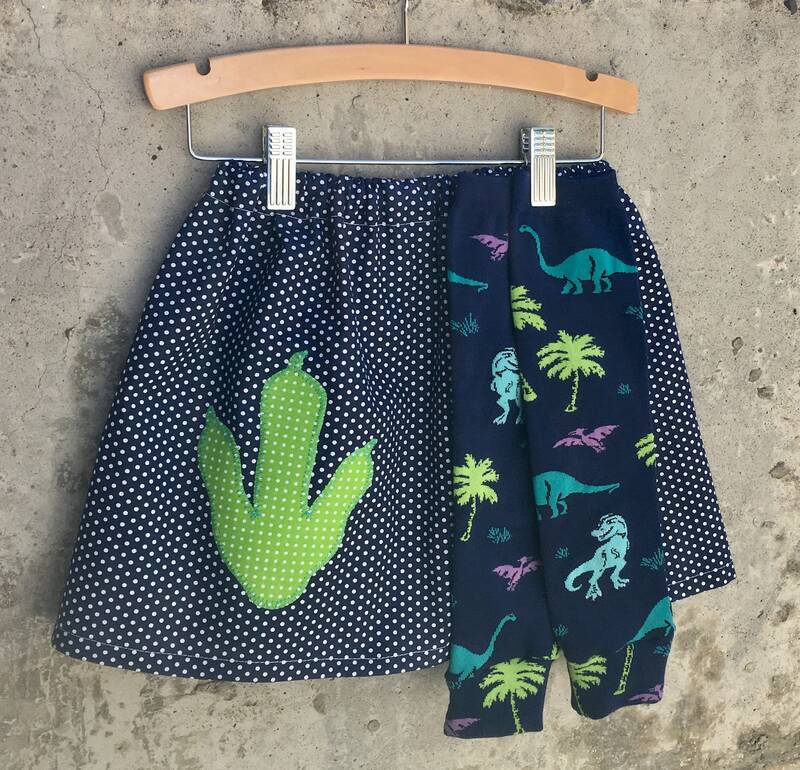 Fun dinosaur skirt and leg warmer set! The perfect something special for your little dinosaur lover to wear at their dino themed birthday party or photo shoot. Also a great add on for a girly dino Halloween costume. This boutique quality appliquéd skirt and leg warmer set is available in sizes to fit babies, toddlers and big kids. Perfect as a gift or something special for your child to wear at their next birthday party, special occasion or photo session. - Wanting the set without the leg warmers? Add a matching shirt or tutu? • This listing if for a skirt and leg warmer set as shown in the listing photos. * All orders will come with 14" length leg warmers unless you specify a shorter length.